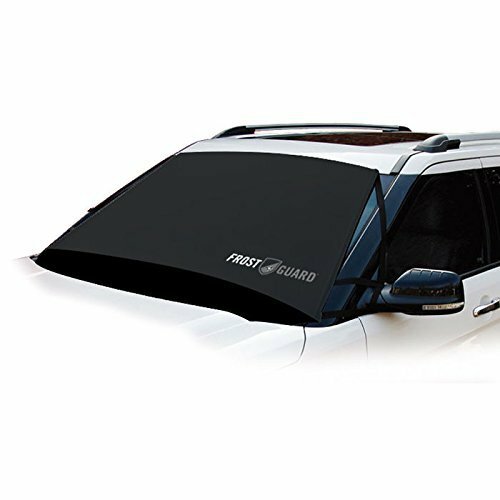 The premise here is that by putting out the Frostguard it prevents you having to scratch away at the wind-shield and remove the frost. That said, I was having an emotional debate about whether I would put this out. This was quickly answered by my wife who reminded me that the three minutes of effort the night before would save us about 20 minutes of scraping in the storm the next day. That said, it folds up really nicely and easily stores right in the trunk. A great idea you can find by visiting http://www.delk.us. Thank you so much to owner Don Barnes for bringing us the Frostguard and saving us precious morning commute minutes that I can now use to purchase a decent cup of coffee! This helps so much in winter time (and summer, too, for that matter when it gets hot inside). It really saves those extra 10 minutes trying to get all that ice off my windshield.